We are at it again. Did you miss our last dinner? You don’t want to miss this one. 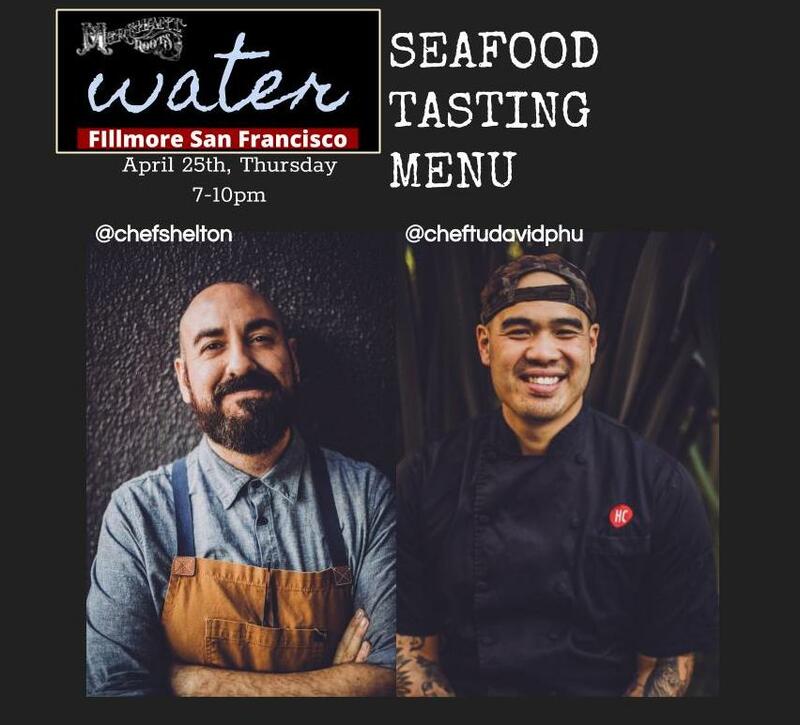 “Water.”Enjoy a 9-course menu at The Table at @merchantroots in homage to @cheftudavidphu (of Bravo's Top Chef) cultural story and heritage. Chef Tu's parents are of a lineage of free divers from Phu Quoc Island, #Vietnam. In honor of their dedication to the bounty of the #sea, this Menu is a celebration of Seafood in partnership with Chef Ryan Shelton of Merchant Roots. An $85 wine pairing is available, which has been selected to complement each of the nine dishes. A gluten-free menu is available and can be requested upon arrival. No other substitutions, please.